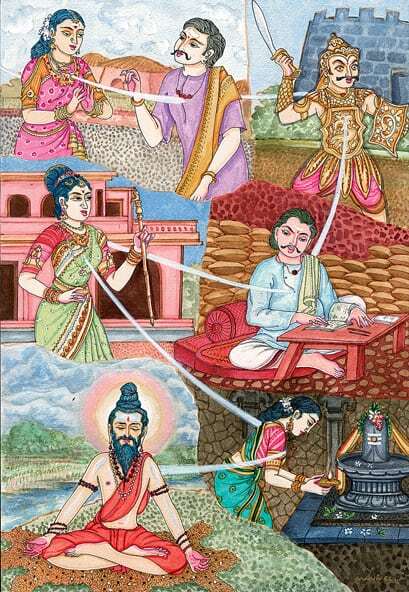 If reincarnation is real, then why don’t we remember our past lives? There’s the possibility that our forgetfulness is due to “divine mercy”. Could our simple minds process all the memories, both from this life, and our past lives? All the pain, joy, triumph, humiliation, hopes, doubts, connected to this and all other lifetimes. We could become over loaded and unbalanced. How could we ever truly know the here and now, if we are constantly preoccupied with the past? Particularly a dead past. The memories of this life, and particularly our past lives, are forgotten for our own protection. However, we do draw on these forgotten memories, mostly unconsciously, and our past lives are definitely influencing us, without us even remembering them. Do you have your irrational fear of snakes? Do you instantly dislike a new co-worker? Do you have a love for all things Native American? These likes, dislikes and traits may be rooted in a past life. Below are a few ways you can begin to recover memories of your past lives. Look at your belief system. If you were brought up in a belief system where the belief in reincarnation was denied, you need to acknowledge that. Understand that your mind will block any attempt to access a past life, since you’ve been programmed to believe that there is no such thing. Start a past life journal. Jot down all the little bits and pieces that you begin to uncover about reincarnation, and your past lives. be alert for coincidences that may relate to a past life, feelings of de ja vu, explainable fears, likes and dislikes, as well as your dreams. Do some historical research on any time periods you feel drawn to, or that appear in your dreams. Use your past life journal to make a list of all the things you like and dislike: the people, places, time periods, foods, sensory memories (e.g. dislike of the cold), styles of clothing and so on. Look at your list, and see if you can connect some dots. You like the architecture of the Taj Mahal, you enjoy hot weather, you really really love curry, maybe you had a pleasant past life in India. Before you go to sleep, ask to see your past lives. Keep your journal, or a voice recorder, close at hand to record anything you see in your dreams. It may take a few nights, or more, but it will happen, if you don’t let up on your intention, each night before you go to sleep. Warning: Be aware of the famous person syndrome. Your ego loves the idea of a past life full of fame and fortune. The truth may be a higher presence, or your higher self, has been using the image of a famous person, an archetype or symbol. Whether you were a king or a peasant is not the point; it’s about what you’ve learned from the experience, and how it applies to your present lifetime. Note where you place your attention. Watch for the coincidences in your life, the reoccurring themes, and the things you are drawn to, and put the concept of reincarnation into the forefront of your consciousness. Then watch carefully. All sorts of different information, insights, and recall will begin to surface. Your memories will respond to whatever you put your attention on. Then, you will have to connect the dots. 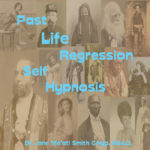 Past Life Regression Self Hypnosis MP3 on iTunes. You have lived before. The Soul is immortal, and we incarnate, over and over again, on this Earthly existance. We do not consciously remember, but subconsciously, the experiences of the past, both in this lifetime, and previous lives, shapes our attitudes, emotions, and even physical ailments. By bringing these experiences to conscious memory, we can heal our present relationships and improve our situation. This self hypnosis program also contains sound frequencies attuned to the Third Eye Chakra, to help connect you to the Cosmic Consciousness, and bring these experiences to conscious thought. Headphones are required for the full effect.